Each year the TrinityP3 consultants work with marketers, advertisers and procurement professionals to improve the marketing outcomes for those organisations. We do this across a wide range of categories and marketing channels and disciplines. Each TrinityP3 consultant is an industry subject matter expert and their exposure to the range of issues and challenges facing these marketers provides incredible insight into the emerging trends facing the industry. This year we have challenged the TrinityP3 consulting team to share their most pressing trends and predictions for the coming year across technology, marketing, media, market research, innovation, mobile, e-commerce, search, social and more. More Tech mergers and acquisitions. Just as we saw in 2016 with Microsoft buying LinkedIn, Salesforce buying the Krux data management platform, and Facebook continuing on it’s merry path, picking up the facial recognition start-up FacioMetrics, 2017 will bring more consolidation. However the challenge will be aligning culture, opportunities and delivering consistency to the market. The other day, I was in a teen stationery store with my 11 year old and I happened upon a mini virtual reality headset and I started to get a tingle…..could it be…..after all these years…..will 2017 be the YEAR OF VIRTUAL REALITY, for real this time? We have all been hearing about VR and AR for about a decade. I remember presenting this concept to clients when we still used Yahoo to search the web and thinking how cool it would be to make this, well, a reality. Every year, for the past 10 years of app development, has promised to be THE YEAR of VR. And every year, we are disappointed. One of the barriers has been the hardware – the helmets that we used to see were bulky, experimental and expensive. But now, with the help of advanced handsets, that has been solved. The growth of messaging apps as a means of one to one marketing. Over 3.4 million Australians use messaging apps as their primary source of contact for friends and family. Savvy brands are tapping into this and using those apps to engage with people direct, creating tailored communications targeted at individuals and able to be shared with their friends. Lots of interest is coming from financial services and retailers who can see the opportunity to package up their products and services in a way that can assist users to engage with those brands more meaningfully e.g. Retailers, through a series of questions, can create a potential gift list for users who may need a present for a boisterous 2 year old boy, 10 year old identical twins who love swimming, a married couple in a new home and a 70 year old who loves lawn bowls. Personalisation will start to move from basic to more advanced techniques. Rather than simplistic page or click based rules for targeting and retargeting, we’ll start to see the rise of real time personalisation through more relevant experiences. Blending page data, with content view data, and visitor segment profile types. This new data-layer will put digital marketing and targeting on steroids. However the risk will be not having a heart attack with the data overload. Automation represents both opportunity and threat. The drive towards real-time, geo-targeted, predictive marketing depends on data and automation; longer-term implications for agencies are enormous. 2017 won’t be ‘Automation Armageddon’, but there will be a shift. Agency networks will make further investments into automated technology; trading automation across traditional channel inventory, particularly TV, will grow, and there will be more partnerships between agency groups and technology suppliers. Additionally, new AI-based SaaS trading models, pioneered by companies such as Blackwood Seven, will gain further traction. The continuing singing of the term ‘Digital Transformation’ will ring in the coridors of leading marketers out for the whole of 2017. And it will be as hollow and vacuous as it was in 2016. Post Trump fact check. Digital transformation is not about finding the latest and greatest new digital agency to pump even more content faster into the latest channel. It is not about VR or whatever you are told is the cutting edge for the next 5 minute period. Digital transformation is also not a website, an app, a interactive digital display, a Facebook ad or story or any other online communication. It is taking all the media that you wish to create and having it on a single platform that you own. This platform is also intergrated with all your customer and sales data and anything else that is relivant to your business strategy. Then and only then can you use all the appropriate existing and exciting new digital outlets as channels for your media when relevant for your customer. One platform for you not one for each of the agencies who manage the desperate and isolated digital channels. One centralised place where information lives. One set of customer data to maintain. One system to pay for. One IT team to understand and look after all business intelligence. One place where you can see what is going on. Once you reach that point you have digitally transformed your busness. Will it happen in 2017? Some of the more enlightened companies have started the journey. What do you have to do to tranform your business? Artificial intelligence is the new black. Like or hate it, AI is here to stay and it’s gathering momentum. We’ll start to move from the major tech companies like Apple, Google, Twitter, Amazon, Microsoft, Uber and Facebook investing in it, to innovation companies learning how to apply it. Whilst we have Apple’s Siri, Amazon’s Echo, and many other applications already, watch out for a plethora of practical AI start-ups that will utilise new job types working alongside smart machines to provide more helpful consumer products and experiences. it is critical for media and creative thinking to start collaborating together, the people who make strategic and creative decisions need to be involved in the actual targeting and micro-segmentation. The creative agency will need direct access to the data. Single message or execution will no longer work. CX designing the customer journey and evolving the messaging is the new creative challenge today for traditional agency folk. The creative execution has become bigger and more interesting with content spanning multiple executions and media. In order to succeed, creative agencies have to understand the technology available and embark on the creative journey with programmatic delivery in mind. Look out for plenty of agency re structures and group re brands in 2017. Structured data, Schema, microdata and JSON-LD will have even more importance as Google moves along the road to AI. The first steps were Hummingbird and then Rankbrain and this has led to a shift from keyword focused optimisation to topics and keyword groups. Structured Data allows you to tag pages with a range of descriptive data to help Googlebot to understand more intently what the page is about and to give more detailed information in search results. Move over Silicon Valley – Innovation will have a second home. 2017 will see China emerge on the world stage from a tech copycat to a platform innovator. No longer will you hear that Weibo is the “Chinese Twitter” or WeChat as a cross between Facebook and What’sApp or that TMall is Ebay with an extra letter. These platforms have their own ecosystems, and take functionality and usefulness to new highs. This gives them user bases and usage stats that would make a Western platform’s eyes water. And they have their eye on the international market. No wonder Zuckerburg is learning Mandarin. Automation authenticity and Social media. There are big consolidations happened like Microsoft acquiring LinkedIn and possibly Twitter soon, so no doubt in the future new trends will emerge. However currently resistance to general ads on social media is increasing. Feeds to social users are becoming even more cluttered so most feeds or tweets are going unseen and marketers are seeing less impact and scrambling for new strategies to combat this. Algorithms like Facebook and Twitter changed their newsfeed algorithm this year to combat the issue. Competing for voice, you have to make a space in the mind of your potential audience by ensuring content is authentic enough and presents different points of view, not just the point of view that the social media server believes. The consumer now wants to curate and choose their experiences and content and social channels are going to have to stay in touch with the demand. Therefore automation will only increase to keep up with the demand of the consumer to deliver the authentic experience. I predict that some advertisers who try out the cloud based production facilitation companies could get burnt. Just like some sellers on Ebay they will quote you irresistible prices and service and disappear along with the money before the transaction is completed. There have always been fraudsters in the film production industry. I do not suggest that all these actual platforms will be to blame but can they check the credentials of each and every company on their list? The internet is full of people claiming to be who they are not, identity theft is a real thing and can be applied to companies just as it is applied to individuals. The rise of the (truly) integrated marketing department. The term integrated marketing will no longer only refer to campaigns, it will also represent how marketing is treated internally. Mark Ritson’s AANA presentation and his take on how digital and social media channels (and their gurus) have bastardised the marketing approach may have ruffled some feathers but at least it got the conversation started around how fragmented and disconnected the function of marketing can be. To be able to implement truly effective marketing, brands must move towards aligning their marketing teams and the marketing function internally to ensure a cohesive and collaborative approach to marketing that will drive strategic results. Zee Bee Bee as my American colleagues pronounce it, is all the rage, especially with Consumer Goods Companies looking to reduce their Working to Non-Working Marketing spend ratios. The thing is that ZBB is actually a great way to budget based on performance, but the unfortunate issue is that many of the companies that have embraced it have done so not to measure and promote performance but to simply reduce costs. And this will lead to the inevitable failure. CEO’s and boards will start to ask for results – not the latest fad. As a result of CEOs not being able to personally join in the post-truth era – they will take it out on everyone else and will start asking pertinent questions. How come that’s not what procurement says? Why don’t you think the supply chain is as important as Social Media? Why did you recommend we take Content Marketing is in-house? What is programmatic and how much has it cost us? Do we really have the in-house expertise for that? Why does the FT think our new campaign is deluded? Do the heads of the holding companies for our 60 agencies know who we are? How are you making a measurable contribution? Isn’t UX a marketing concern? Can all of our employees play a role? Why did you Tweet that all head-hunters are twats? Do we know what our customers are thinking? Do our users really want a dialogue with our loo paper? Why have our distributors never heard of you? Who is the customer of our customers? Who is “everyone else” and does why they are doing it apply to us? A board member saw our new TVC in (insert whatever you like that will get the most adverse reaction in your category) and is wondering why? CEO’s know when they’re on a good thing and love when the board chips in with suggestions. The average tenure of CMO’s could be about to decline even further. Mobile will be the key focus in 2017 with mobile use higher than desktop in many regions and niches. AMPs (Accelerated Mobile Pages) will be a must-have for many sites despite some mixed results. Overall, the benefits cannot be ignored as these pages load up to 30 times faster than standard pages. In the next few months Google will move to a mobile first index which means that they will be taking the majority of user experience and technical efficiency signals from the mobile version of a website. They are currently testing the new index as they want to avoid collateral damage with this major change. Most responsive sites should see little change but separate mobile sites with less content or poor responsive UX will result in less traffic. Being mobile ready has been around as a marketing buzz term since the early 2000’s, and with the increasing prevalence mobile search plays, and will continue to play in how consumers access content, marketers will finally nail doing it effectively and on a bigger scale. The growing crossover between apps, websites, social media and ecommerce platforms will become more seamless and consumers will search, compare and shop right from the palm of their hands. Marketers, will need to be ready to market and convert at the right time during this ‘on the go’ consumer behaviour. In line with the innovation in Chinese platforms is their use of e-commerce, a lot can be learned from the way that tech giant TenCent has established its e-commerce presence and from the ubiquity of Jack Ma’s Alipay in China. The secret to their success? Make it useful and easy for the consumer and the retailer. Strange concept, I know. Think Uber style functionality across all things lifestyle, with one click operations for splitting bills, transferring money to friends, buying movie tickets and ordering dinner to your door 10 minutes after you arrive home. But also think in-platform app creation tools that allow a business to drop an app into their app store without hours of dev time. We need to learn from the new masters and think about consumer needs and stop squabbling over commissions. The end of the Australian retail comfort zone. Amazon is coming to Australia in 2017 in most of its forms. If you think your market is not going to be disrupted by Amazon, then you’re not only wrong but you’re also going to be caught napping. There are very few things the retail giant won’t be doing in the medium to long term. History is replete with turning points, of course, but the end of our relatively cozy retail environment here in Australia does feel like a significant shift. Hard to underestimate the extent of the change that will start this year. In 2017, thanks to the work of the ANA, the AANA and ISBA, advertisers will possess better understanding about agency transparency. Contractual diligence will tighten, with greater scrutiny on the responsibility of holding companies. Agencies will evolve contractual options on offer to clients. At least one more serious transparency issue will emerge from a main agency network. Increased scrutiny on the Trading Desk retained and non-retained services. Regardless of the effectiveness measures and transparency issues, programmatic trading is here to stay in the data driven world we all live in. Spend is only likely to increase, across an extremely complex and continually evolving media landscape and technology driven market place. Understanding the relationship between the media agency and its trading desk is becoming crucial, as well as understanding the commercial arrangement between themselves, the technology vendors, ad-exchanges, and the media owners will be vital in maintaining trust across the relationship. Most media agencies try and make this a seamless relationship through a ‘managed service’, although the market is likely to push for these services to be separated, so that scopes of services and remuneration are clearly identifiable on a standalone basis. Agencies will continue to push their programmatic offering, so it is vital to be realistic on what level of spend will ‘likely’ be channeled through the trading desk / DSP, when setting the retained resource levels and costs associated with the ‘planning and manual buying’ process for retained services. Similarly, understanding what breakdown is of the service fee across the various components to cover resourcing, technology stack recovery, and agency revenue will be vital in establishing ‘fair-value’ for the services delivered. 2016 saw a number of organisations create CMO (Chief Media Officer) roles. Although it won’t become a must for everyone, the CMO will become more common. 2016 was a year where media transparency generated a level of heat and light but very little actually changed. Call me a cynic, but I’m not expecting anything to change very fast in 2017 either. For too many clients, it seems the issue is just too hard and complex at the moment for anything other than incremental change, which is probably all we should expect – even if it’s not what any of us should be working to achieve. Ad-blockers, ad-fraud, bad ads, multiple definitions of viewability, dubious results…the pressure continues to build in digital media verification and measurement. Fragmented measurement across different media channels is also a problem. Industry bodies, agencies, media networks and advertisers all want greater integration. The only way to achieve this is to rationalise the various systems and reshape around a common measurement framework. It’s hugely complex and it won’t happen overnight but 2017 will be a year of movement towards consolidation and co-operation. Channel planning will make a big comeback. It has to, or we’re doomed. For those old enough to remember, Channel Planning was introduced when more customer journey moments were being brought in to get a message to a prospect. Smart marketers realised that everywhere in a person’s day were more and more opportunities to tempt them to buy – there and then. And the really smart marketers realised that a lot of channels involved lots of things that they could do themselves. They used to be called collateral and at that time did little damage. One could do it oneself or a local printer just “adapted” the latest campaign. Digital arrived, and all was transformed from an Ugly Duckling into a Beautiful Swan called Content. And because Content involved computers and things called platforms – it needed Content and Subject Matter Experts. Things have evolved so much that there are now two types of people doing it. Those that can and those that can’t. And all of this is being produced to go into places where media people didn’t have a role – so it was assumed to be cheaper. As more and more ways to bombard consumers have been “innovated and curated,” more and more people think that they no longer need channel planners. So increasingly they buy some media direct with content they produce themselves. So now, many Marketers wisely deal directly with totally independent media companies such as Google and Facebook. This avoids having to use old-fashioned measurement systems that measure actual results. The new measurements are a clear indicator of lack of channel planning. All of this to theoretically get the right message to the right person in the right place at the right time – regardless of the cost. A century ago the first election poll was undertaken in Britain and produced a 100% accurate prediction in the outcome. In the past two years election polls have been hopeless inaccurate including the last British Election, Brexit and the 2016 US Presidential Election. Either it rings in the death of polling as we know it of the methodology is totally reinvented. Data, data everywhere but not a clue on who the consumer is. Our industry is collecting data at a rate of knots, which is a good thing, however the key to all this data is knowing how to mine it effectively and identify the right insights. The rise in importance of skilled analysts who can sift through this wealth of information will propel the brands who have them in their teams to the top of the pack. Control and management of customer data will continue to be the prize for big-end consultancies, agency holding groups and independents alike. Expect more cheque books to be opened and fewer truly differentiated players left in the market at the end of 2017. We will see the continued growth of full service agencies offering clients total communications planning and execution under one roof. Unlike the “full service agencies” of the 80s where creative and media lived in house, we will see the impact of our new world of communications on the definition of “full service”. There are a handful of agencies in Australia who currently offer true integrated creative and media planning in house and we see them gradually adding full social media departments, digital and content strategy and production and PR. The only question many agencies and clients have is around PR especially in highly specialised fields such as fashion, automotive, food, and so forth where niche PR specialists will continue to be brought in as external members of the team. With companies working faster and leaner, it is no wonder that savvy marketers are seeking out genuine full service offerings so the brand and communications strategy, creativity, channel planning and social activity of their brands is developed and executed by one team of specialists, under one roof working seamlessly as a dedicated communications partner. In the coming year I predict that more and more global marketers will start to question if the status quo in advertising and advertising production is working for them. They will question why they are paying more for production and getting less. And why advertisers are promising more, particularly from digital and social media and yet they are still hesitant to guarantee the results. Agencies have for decades used the excuse that advertising is not a precise art and yet they argue that they are the only ones with the answers. Advertisers are coming to TrinityP3 for answers without really defining how they want TrinityP3 to help, or giving TrinityP3 definitive data. All the advertisers know is that something is not quite right and perhaps the system they have relied upon for decades is broken. TrinityP3 has some answers but it’s hard for the advertisers to implement even the simplest of ideas as the inertia of the current system and the resistance to change is a strong force within the industry. Most resistance comes from those with the most to loose and are not nimble and forward thinking enough within themselves to be part of the solution. Multinational agencies, their holding companies and their spin-doctors have a lot to answer for as they try to hold on to the admin and income heavy individual market system they now embrace. Cannes will explode with client frustration. The phrase that “The Festival is a celebration of creativity,” and that “It’s all about the work,” will send senior clients into very public fits of anger and retribution. Heads of holding companies will get an earful for being more like supermarkets than Saville Row tailors. If the future is best predicted by the past, then the past few years at Cannes have seen La Promenade des Anglais increasingly crowded with CEOs and CMO’s of large marketers, economists and business press journalists. ie. The people who foot the bill, the people who work out what it’s all costing and the people who let the stakeholders know. For the first time, they will take notice and the recriminations will fly. Marketers will blame the agencies for making them confused – who will fight back and blame the clients for squeezing the experience out of their agencies by refusing to pay for people with more than a few year’s experience. Holding companies may blame clients for over-investing in the things that they recommended. And everyone will have a jolly time tearing each other to bits on yachts, at parties, at perfectly managed events and by the pools of their rented villas. A number of advertising agencies now offer in-house media strategy, planning or buying in some form. In 2017, more toothpaste will be pushed back into the tube, as others attempt to join in. Beginning in January 2017 (Chrome 56), Google will mark HTTP pages that collect passwords or credit cards as non-secure, as part of a long-term plan to mark all HTTP sites as non-secure. If you have not made the complicated move to HTTPS then you can expect to see a negative impact on organic traffic as people see the warnings and choose not to click through. There are 15 steps in our process which we used to migrate the TrinityP3 website a couple of months ago so it does take a fair bit of planning but moving to secure will be essential. As well as the rise in mobile use we are also seeing the rise of voice search. With Google Assistant, Apple’s Siri, Amazon’s Alexa and Microsoft’s Cortana, voice activated search is becoming a hugely competitive environment. This is also playing out with Home Intelligence in the form of Google Home and Amazon Echo among others. Google’s challenge will be how to monetise this shift away from screens as there does not seen to be an intuitive way to use ads at this stage. Technical SEO expertise will be even more critical than it is in 2016. 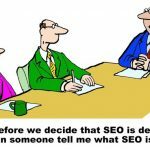 No, SEO is not dead. It has moved into key spots in organisations and their agencies as content marketing has grown in prevalence. Proven enterprise SEO will become a hot skill set as marketers wish to navigate the complex demands of search, apps, AI and UX. I’m already utterly tired of the inevitable torrent of hindsight-wise, smug and fatuous posts and articles on ‘the ten lessons marketing needs to learn from Trump’s election’ or ‘the six ways social media predicted Brexit’. But I doubt we’re anything like finished with this facile stream of click bait. It is encouraging to witness the number of women now occupying senior leadership positions in media agencies. The female talent pool in the industry has never been stronger. Female leadership will keep growing. While I have been saying for the last three years that there will be a rising trend to be a sustainable business, unfortunately marketing departments will continue to stick their heads in the sand and ignore the environmental impact of their communication. We have all heard of the transition from Mad Men to the Math Men, driven by technology, data and artificial intelligence. But as many that are jumping on the band-wagon and promoting this transition (primarily the vendors selling the technology platforms) there is a silent majority resisting the change and hoping we can go back to gut instinct, crystal balls and Ouija boards. If you don’t believe me you probably also thought that Brexit and a Trump Presidency were never going to happen. The death of predictions lists like this. If complexity theory has anything to teach us (and to my mind, it has plenty) it is that very little is predictable – and even that which seems to be predictable is actually an illusion. This means we should be ready for anything, and this I find incredibly exciting. 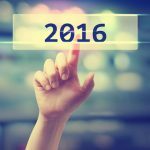 What are your marketing management predictions for the coming year? 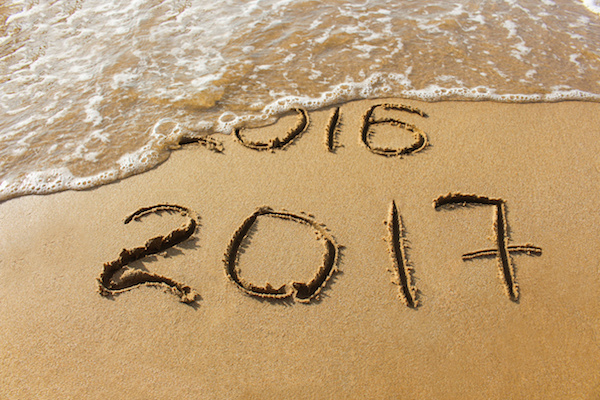 And here is to another challenging and productive year ahead in 2017.